Looking to move to the Columbus Station Area? Here are the Columbus Station homes for sale! Columbus Station is in a super super spot. 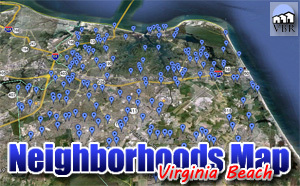 It is an affordable set of homes right next to some of the most upscale restaurants and shops in Virginia Beach! Interstate 264 is very close via Independence Blvd. Within walking distance is Best Buy, Dicks Sporting Goods, Barnes and Noble, Cheesecake Factory, Planet Music, Bed Bath and Beyond, Regal Cinemas, PF Changs, Ruth’s Chris and Pembroke Mall! There are dozens of other excellent places to enjoy yourself in varying ways. Columbus Station is near Thalia Village, Thalia Trace, andPembroke Manor. The neighborhood is in the Princess Anne High School District. We have a page with all the homes for sale in Columbus Station. Click on this button to see everything currently listed there. When you find a home you would like to see, please let me know! Call (757)589-1237 and I will arrange a showing! Or, on the property, complete the Find Out More form and click submit. I will get information to you right away!